like beating what is clearly a good, tough horse. The key to Petit Mouchoir’s success is that he goes a right gallop and gets horses out of their comfort zones. It was another good performance, though a shame to see Nichols Canyon come down where he did. over 2m4f at Aintree and Punchestown. him but I’m not so sure now. handicap chase and Le Richebourg finishing second in the bumper to a pretty good horse in Debuchet. we’re happy with the way he’s going. unfortunately he was put out of the race by that mistake. at the moment, we’ll see how he is next week. imagine he’ll be hard to beat in the Gold Cup. from him to beat Thistlecrack. He was a great horse, loved racing and jumping. He was a star for Oliver Sherwood and Trevor Hemmings over the years and it’ll be hard to replace him. I suppose like Oliver Sherwood says, you have to remember him for the good days they had with him. pencilled in for the Juvenile Grade 1 and there’s a good chance he’ll go. The Joseph O’Brien-trained Katnap bounced back to winning ways under a positive ride from JJ Slevin in the ‘Club 30’ Membership Handicap Chase at Leopardstown. The 9/2 shot was soon prominent and disputing in the 2m5f contest and got the better off long-time rival for the lead Aurora Bell over the last. He stayed on well on the run-in to post a two-and-three-quarter length victory. Thomond stayed on well in the closing stages to take the runner-up spot with Forty Foot Tom claiming third. “JJ gave him a great ride. 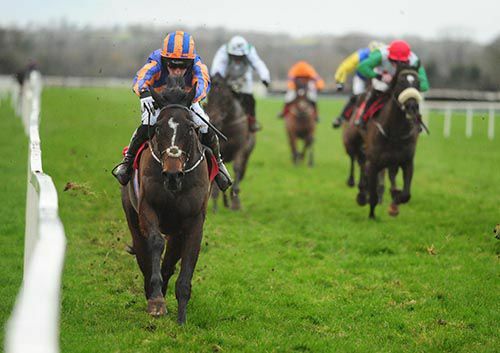 He jumped well and travelled well throughout the race,” said O’Brien. “He made a very bad mistake at the second here at Christmas and that probably put paid to his chances that day. Bhutan, a general 25-1 chance for the JCB Triumph Hurdle at the Cheltenham Festival, might not even make it to the track this season. 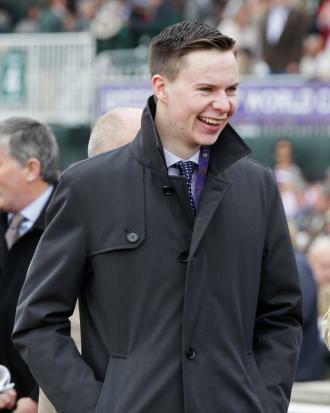 Trainer Joseph O'Brien feels he is running out of time with the grey son of Galileo. He said: " Bhutan hadn't run on the Flat for a long time when he came to me. He was a good bit behind the others. He'll be entered in the Spring Juvenile Hurdle (at Leopardstown). I don't know if he'll run. "He could have gone for a maiden in Naas as well, but it doesn't really make sense to win a maiden. "Run in a Grade One and in a worst-case scenario you're a novice with a much better programme next season, or you might go in the Fred Winter. "The programme doesn't encourage you to win a maiden hurdle. "I doubt Bhutan will go this season. It'd surprise me if he did as it's a bit late now." Bhutan, formerly in the care of Joseph's father, Aidan, had one run on the Flat last April, when he defeated then stablemate Housesofparliament by three lengths in a Leopardstown maiden. The latter is also in training with Joseph and is as low as 16/1 in the Triumph hurdle betting. Third in the St Leger at Doncaster on his final run on the Flat, he was an encouraging second on his hurdling debut at Leopardstown over Christmas. Joseph is convinced there is more to come from Housesofparliament, with a return to Leopardstown next month in the pipeline. He told the Irish Independent: "I was delighted with that (Leopardstown) run. "We hadn't him in a while. He was ready to start and the ground was slower than ideal. "We think there's a bit to work on. 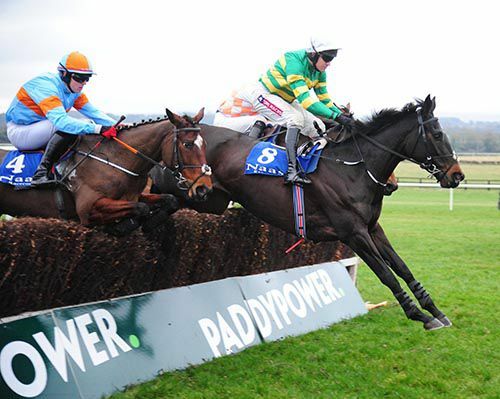 We're looking forward to going to Leopardstown for the Spring Juvenile Hurdle on February 12. "I'd be happy he doesn't need farther than two miles." We had a quiet weekend with Imperial Way, our sole runner at Leopardstown. I was satisfied with his run. He’s a nice staying prospect for the future and just didn’t have the gears to go with Bakmaj in the closing stages. I was very impressed with the winner and he built on the promise of his debut run. I think we’ll aim for another bumper with Imperial Way. He’s had a run over hurdles but at this stage of the season we’ll keep his novice status intact. Looking ahead to this week, we’ve two entered in the winners’ bumper at Gowran Park on Thursday. Aeglos surprised me with how easy he won at Leopardstown, while West Coast Time showed a good turn of foot to win at Cork. It’s 50/50 that either will run. We’ll see what way the ground is closer the time. They are describing it today as yielding to soft with mild, dry weather forecast for the coming days. 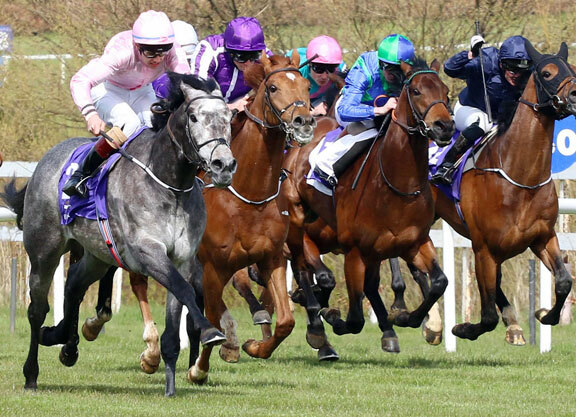 I was at Leopardstown Sunday so had a watching brief on the featured races. Jack Kennedy continues to impress and for a 17-year-old, riding less than two years, to have achieved what he has, is outstanding I thought he was brilliant on A Toi Phil. The horse at no point looked likely to win the race but somehow he managed to drop him on the line. He won’t get much of a hike from the handicapper so Gordon Elliott has plenty of options going forward with him. Gordon’s record in these handicap chases this season is phenomenal. He’s won all the big prizes since mid-summer in Galway. These are ensuring he’s maintaining a healthy advantage on Willie Mullins as the battle for the Trainers’ Championship continues. Willie will probably sweep the boards at Punchestown but races like the BoyleSports Irish Grand National, remember it’s worth €500,000 this year, will be on Gordon’s radar and it could be the key race in deciding the championship. Again it’s a valuable handicap chase and Gordon seems to have a number of horses who fit the bill for such races. I watched bits of Haydock on Saturday. The New One looked very tough in grinding out a win in the Champion Hurdle trial. I heard Sam Twiston-Davies interviewed afterwards and he seems keen to try him over three miles but it seems Nigel Twiston-Davies thinks differently. I’m sure the right decision will be made on the day. He’s a horse that’s never got the credit he deserves but he’s been a great servant to connections. Moneymaker wasn't in the final declaration of 14 runners for his first P2P. His debut will come another day. I was very pleased to see Edwulf win the Beginners’ Chase at Punchestown on Saturday. It did take a little while to break his duck over fences, but in his defence, he’s contested some quality Beginners’ Chases. His jumping has been an issue in the past but he was surefooted on Saturday and it was nice to see him put it all together. Where we go next has not been decided. JP McManus has numerous horses with similar profiles so we’ll sit down later in the week and map out a plan. I wouldn’t be keen to rush back too quickly with him as that was his fourth run in a seven week period. Indrik ran well in the bumper to finish third behind what looked a very smart winner. He’s a stayer in the making and the Annus Mirabilus syndicate will have plenty of fun with him for the rest of the season. I was really taken by the winner Paloma Blue. He was very green in the closing stages and for a horse of that inexperience to go and win a bumper, marks him down as horse with a big future. The closure of Kempton Park has been making plenty headlines in recent days. I’m not into the politics of racing but it seems such a shame to lose a track of this quality. I’ve seen people questioning the need for another all-weather track in the UK. I’d never bemoan all-weather racing. A track in Newmarket is sure to be utilized by all the top trainers. I’d love to see another all-weather track in Ireland and if that’s not the case, then Dundalk should be used more regularly. 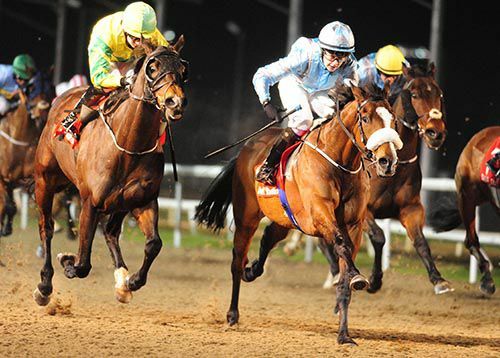 The lower grade races in Dundalk are oversubscribed every week. We had four entries in a 45-65 graded race last week and the closest one of these entries got to getting in was 22 on the ballot. There was 60 entries in the race. The safety limit in Dundalk is 14 runners. I realise the authorities are keen to keep the quality of the racing up in Ireland – we don’t want low grade horses racing for poor prize money. I could bring these horses to the UK but you barely cover your costs even if one wins. That’s after expenses are taken into account. Arkwrisht 8th and Edwulf wins 12.15 at Punchestown. Edwulf breaks his duck over fences. The JP McManus-owned eight-year-old was second to Willie Mullins’ Children’s List over three miles at the same track last time. This time he got the better of Mullins’ Bachasson with the well-backed 5/6 favourite Mall Dini only third. Gordon Elliott’s Robin Thyme was fourth and the quartet were a long way clear of the rest. Settled in mid-division early on by Walsh, Edwulf jumped well and took the inside route when travelling well before the home turn. As he got to grips with the challenge of the always-prominent Mall Dini, Bachasson emerged as the chief threat under Ruby Walsh on the outside, but Edwulf’s assured leap at the last sealed matters and he was pushed out to win by a length-and-three quarters. “He’s a good jumper but he’s been inclined to make a few little mistakes,” said Joseph. “It was nice to see him get it together and he’s a horse we’re really looking forward to. “Two and a half is fine and there’s no reason he can’t go up again to three. He handles soft ground well. “We were hoping he’d have won a beginners’ chase by now but things didn’t fall his way. We’ll see how he is during the week and we’ll make a plan then, but he could be a horse for the spring festivals. Sky Bet cut Edwulf to 25/1 from 50s for the Racing Post Arkle at the Cheltenham Festival. I ride A YEAR TO REMEMBER (1.30) in the Buy Your Great Value Annual Fairyhouse Membership Today Maiden Hurdle for four-year-olds. He won a maiden on the flat over seven furlongs on soft ground, and he didn’t shape badly on his debut over hurdles at Punchestown on New Year’s Eve. Always prominent that day, his jumping was good for a debutant, and he kept on well to take third place. Hopefully he can build on that now. Duplication entered in the Goffs Ireland February sale. Walk The Line & Thomas O'Malley have been gelded. NEW Joseph has 3 new Horses Theydon Park, Mortal and Successor and 1 new owner Best Of The Rest Syndicate. 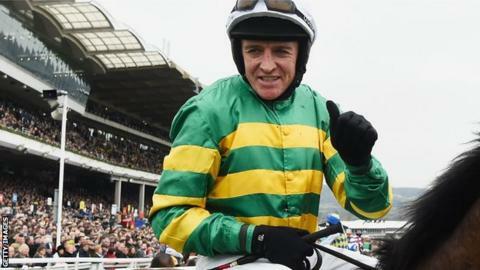 Barry Geraghty is hoping Slowmotion can go on to bigger and better things after opening her account over fences at Naas on Sunday. She reverted to the smaller obstacles over the Christmas period and finished a clear second behind the exciting Let's Dance at Leopardstown. The JP McManus-owned five-year-old was a warm order on her return to fences over the weekend, and comfortably obliged as the 4-6 favourite. "Slowmotion did it nicely in the end. She was a little deliberate at her fences early on, but that was to be expected," said Geraghty. The last time she raced over fences, at Wexford in November, she had a hard fall at the first fence. She had run well over hurdles in the interim, and she warmed to her task nicely on Sunday. She was entitled to win this, she had lots in hand on official hurdles ratings and, while I never felt that we were going to bolt up, I was always happy enough with her through the race. She should improve for this experience, too. Slowmotion has just turned five and this was effectively her first run over fences. She is a nice scopey mare, and she is versatile, she can jump hurdles or fences and she seems to be versatile in terms of ground conditions. Hopefully she has a nice future ahead of her." Joseph's thoughts on the weekend from his Boylesports column. 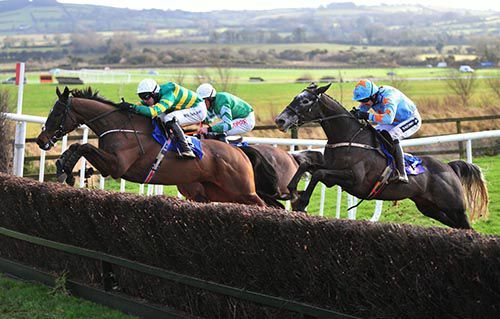 We had a good weekend with winners on both Irish cards at Cork on Saturday and Naas on Sunday. West Coast Time surprised us with how easily he won the bumper at Cork. He travelled into the race easily and when Patrick Mullins asked him to quicken, he went away and did it impressively. I think he’ll improve for the run – he was possibly a bit fitter than we thought. I know BoyleSports introduced him into the Cheltenham bumper market but I’m not keen to commit to it. We’ll try and find a winners race in the next month to six weeks and see where he stands then. His dam, Refinement, was second and fourth in two renewals of the Cheltenham bumper, but I think he’s a horse with a great future and sometimes Cheltenham can compromise that. Slowmotion won the beginners’ chase in good style at Naas. They went slow in the race and the loose horse was a hindrance. It was good to see her put in an assured round of jumping following her fall at Wexford earlier in the season. I was pleased with Le Richebourg in the Naas bumper. There must have been half a dozen horses being talked up before the race and I think the first two could be smart. Jamie Codd wasn’t overly hard on him and he’ll probably go for another four-year-old bumper in a few weeks’ time. Away from my own horses, the main talking point at Naas was the win of Death Duty – or the fall of Augusta Kate! Augusta Kate was gathering momentum but Death Duty would certainly have galloped to the line. He looks a horse with serious potential and…whatever novice hurdle Gordon Elliott opts for at Cheltenham, he’ll take all the beating. Everyone seems to have an opinion on ITV Racing – I’ve been impressed. Oli Bell and the crew visited me before Christmas and the reaction to the piece was positive. It’s good to see them focusing on what goes on behind the scenes in a racing yard. It’s hard to please everyone, but it can only improve on what we’ve seen so far. It definitely got the thumbs up from me. 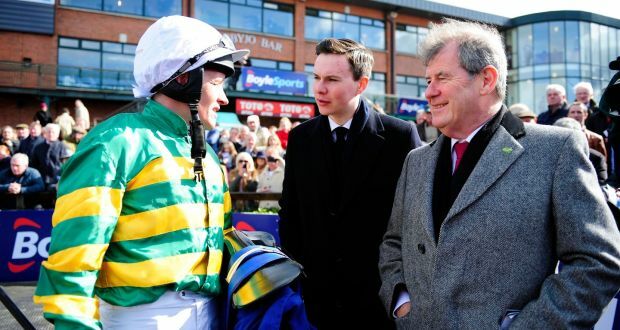 The Joseph O’Brien trained, J.P. McManus owned Slowmotion showed no ill effects from her disastrous chase debut in November when landing the Rushes Supervalu EBF (Mares) Beginners Chase at Naas today, on her second chase attempt, under jockey Barry Geraghty. The daughter of Soldier Of Fortune was a first fence faller on chase debut at Wexford but today got to the line and, more importantly, finished a length and three parts n front of runner-up Elusive Ivy, having out battled that rival on the run-in. Afterwards trainer Joseph stated “it was nice to win a chase with her and she seemed to jump fairly well although the loose horse wasn’t a big help. “She had a tough race in Leopardstown (over hurdles in December) where there went at it the whole way, so we’ll give her a bit of time now before we go again. West Coast Time wins impressively at Cork. It was like a throwback to the Royal Derbi days as Michael Tabor's famous silks excelled in the jumping sphere, albeit in a bumper, as Patrick Mullins donned the blue and orange to guide West Cost Time to an impressive debut success in the McCarthy Insurance Group INH Flat Race at Cork. Royal Derbi won the 1993 Irish Champion Hurdle but in more recent times also for Tabor, West Cost Time's dam Refinement won twice at the top level. Refinement's dam, Maneree won plenty of jumps races for Tabor too. With the benefit of experience Drumconnor Lad was the even money favourite to win today, but West Coast Time, a five-year-old son of Westerner, equipped with a tongue-strap, made mincemeat of him and the rest. The smooth traveller extended away under Mullins from over a furlong out to give trainer Joseph a nine and a half length win. "It was a good performance and he liked the ground I'd say but I didn't expect him to do that as I thought he'd get a bit tired," said Joseph. "I'd say he's not a bad horse and I'm not sure if the Cheltenham Bumper would be the right thing for him this year but maybe. I'd say he'd definitely have to run again to go and hopefully he'll come out of this okay. "His dam handled good ground so there seems no reason why he shouldn't." I ride Slowmotion (3.20) in the two-mile Rushes Supervalu & Lemongrass Restaurant E.B.F. Mares Beginners Chase. She was unlucky to fall at the first fence at Wexford on her chasing debut in November, and she bounced back from that nicely to run second to Let’s Dance in a Grade 3 mares’ hurdle at Leopardstown over Christmas. Slowmotion couldn’t go with the winner from the second last flight, but she still finished well clear of the other three mares. She jumped her hurdles well that day, so hopefully she will jump her fences well again now, hopefully the Wexford fall will not have affected her confidence over her fences. As long as it hasn’t, she should run a good race. Iskandar Prince and Eagle Spirit have been gelded. 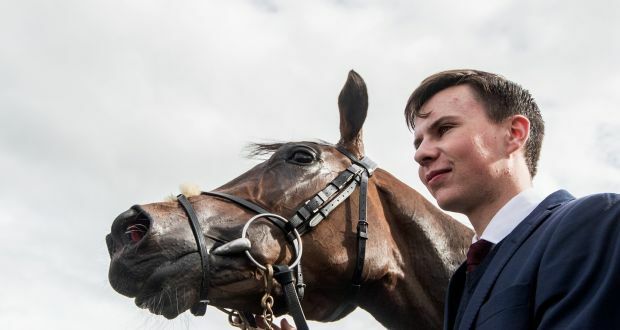 One towards the top of the market, Zanjabeel (5/1) blotted his copybook by refusing to race, but that'll have mattered little to Joseph O'Brien as he saddled a one — three in the Cross Square Hotel, Crossmaglen Handicap at Dundalk. O'Brien's sister Ana partnered the one that led them home, 5/1 shot, Udogo. "He overturned the form with Song Of Love (finished 2nd to that stable companion on December 23rd) but was better off at the weights today. He did it well and is a tough little horse," reported the successful rider. Owned like the third placer, Song Of Love, by the Annus Mirabilis Syndicate, Udogo got the better of Specific Gravity by half a length. Soon ridden, the victorious Lucky Story gelding was strongly pressed inside the final furlong, but he stayed on well close home to seal the win and to give Joseph his 50th winner across all disciplines. Housesofparliament ran a nice race to finish second in the juvenile maiden hurdle at Leopardstown on Tuesday. He just didn’t have the pace of the winner Meri Devie in the home straight, but he jumped well on his debut and he finished a good second. He was a classy horse on the flat, and that was a good run from him on his first run over hurdles. Joseph still retains faith in his young guns. Joseph retains full faith that his classy bunch of juvenile hurdlers can still reach the top. Landofhopeandglory lost his unbeaten record when he had the tables turned on him by Bapaume in the Grade 2 Knight Frank Juvenile Hurdle at Leopardstown having finished in front of the same rival at Fairyhouse. Housesofparliament, the best of his recruits from the Flat having finished a close third in the St Leger at Doncaster, could manage only a five-length second to Meri Devie on his hurdling debut at Leopardstown, while Sword Fighter, a Royal Ascot winner, was fifth in the same race. "Landofhopeandglory ran well. The race probably didn't work out as well as it did the last day," said Joseph. "There is no reason why he shouldn't get closer to the winner the next day. Housesofparliament ran well on his first run over hurdles. He jumped quite well apart from missing the third-last. Sword Fighter ran well too on his first run over hurdles. It's a long year." Stablemate Ivanovich Gorbatov produced a seasonal best in the Ryanair Hurdle when pushing Nichols Canyon all the way for second, albeit some way behind impressive winner Petit Mouchoir. "He ran a blinder and I was delighted with him. 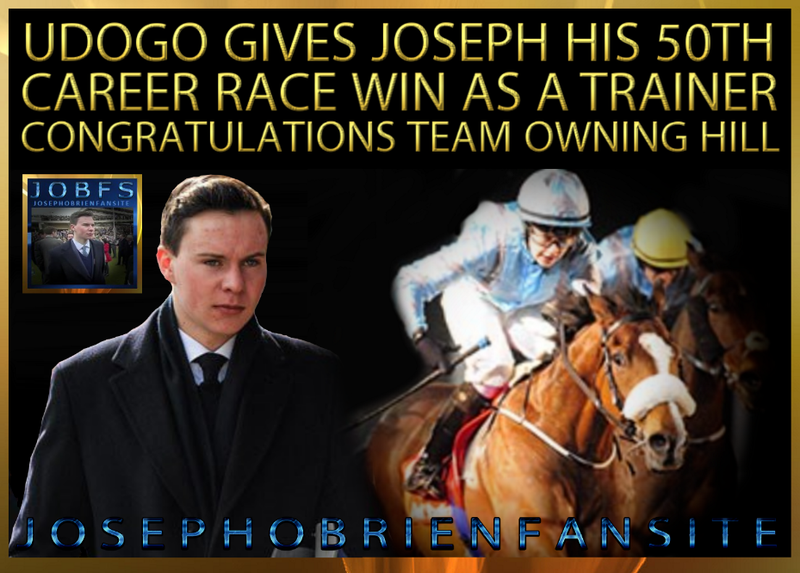 He travelled and jumped brilliant," said Joseph. "It looked like he might be second and he flattened out. I'd say he's running close enough to his mark. I'd imagine we'll look for another good two-mile race for him somewhere and see what happens."